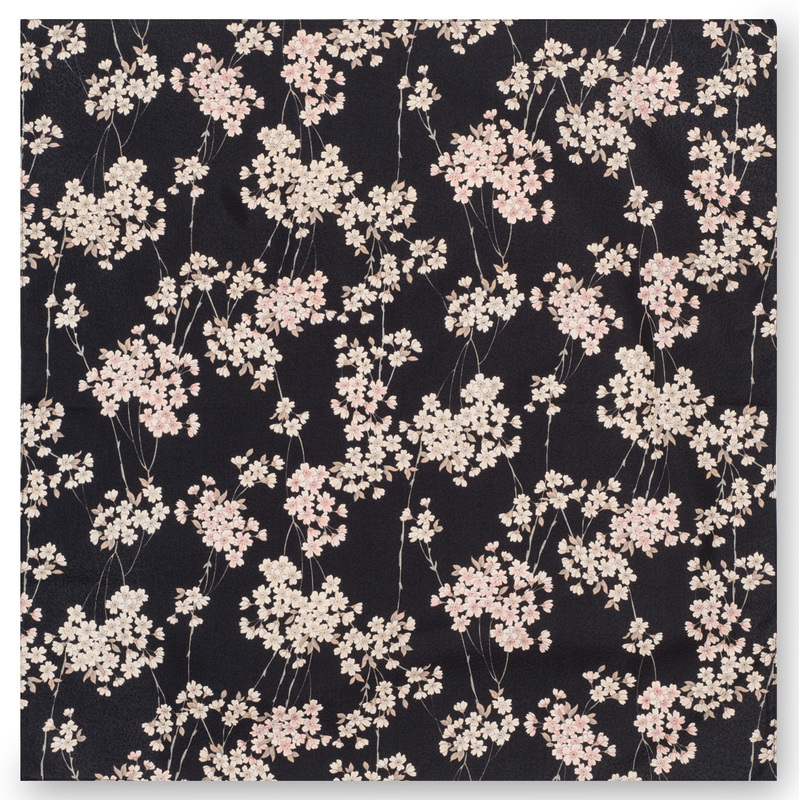 The Small Black Cherry Blossom Japanese Furoshiki is a pure cotton authentic Japanese furoshiki with a jet black base colour and an abundance of beautiful white cherry blossom! Furoshiki are Japanese wrapping cloths which are used to carry a lunch box, clothes, gifts or can be used as a table cloth or ladies scarf! The Small Black Cherry Blossom Japanese Furoshiki is also a very elegant and eco-friendly style of gift-wrapping, as you can use it again and again! 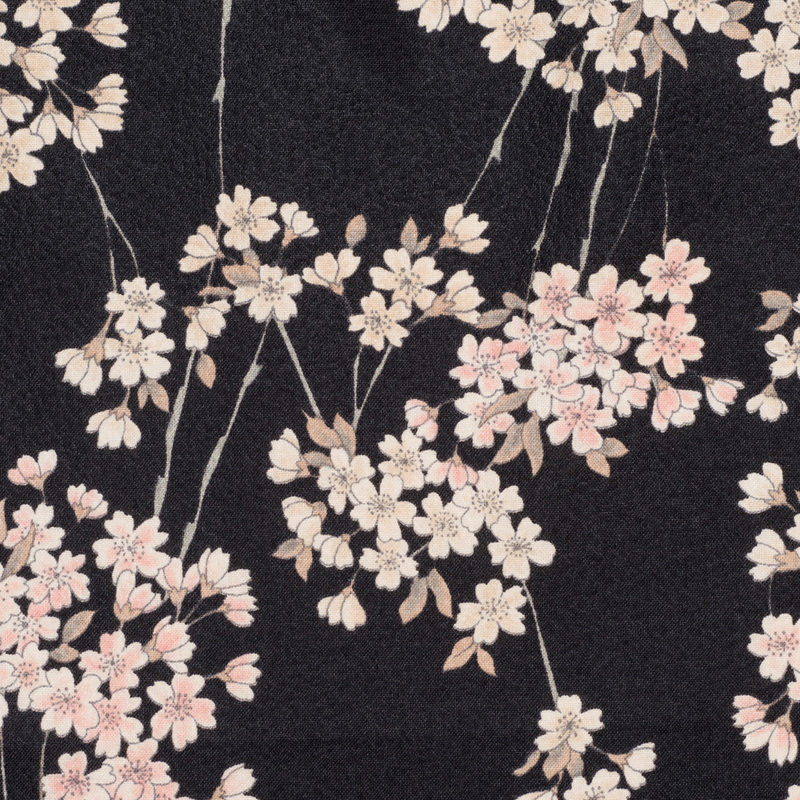 Buy your Small Black Cherry Blossom Japanese Furoshiki online and have it gift wrapped free of charge or visit our showroom for this and more traditional Japanese furoshiki!